Regular odor and allergen treatment for your home is important to make sure that nasty particulates and contaminants aren’t in your home’s fibers and air ducts. Removing these contaminants early, often, and on a regular schedule can prevent them from causing health problems or remaining undetected in your home. Schedule an appointment with our San Antonio carpet cleaners today to make your home fresher than ever. HOW CAN I REMOVE ODORS AND ALLERGENS FROM MY HOME? Many San Antonio homeowners experience regular allergies due to the plant life Texas fosters. On top of this, pets can also cause many additional issues with odors and allergies. 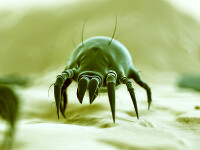 Pet dander, pollen, dust, and other unwanted particulates can embed themselves in countless spots in your home. 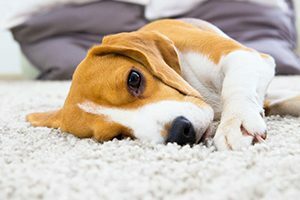 Thankfully, a homeowner now has real choices when it comes to removing odor- and allergy-causing agents so that humans and their animal friends can live in peace and harmony (hint: your local San Antonio carpet cleaners). Your home’s carpet fibers are like a wall to wall ‘trap’ for every conceivable and invisible contaminant. With pets, these contaminants include their dander and fine hairs, as well as the things that stick to their coats like pollen, spores, molds, microbes and bacteria. Attempting to remove these particles with regular vacuuming or other DIY cleaning methods won’t completely solve the problem. Once these allergens are in your home, they are deeply ingrained in the millions of fibers present in your carpet. Controlling allergens is a difficult task for the average homeowner. Typically, odor-causing particles and allergen contaminants are highly difficult to remove without professional experience, training, and the proper equipment. At Alamo Steam Team, we can say with certainty that deep carpet steam cleaning is the most effective method for removing odors and other contaminants from your home. We employ a water heating unit that pressurizes and heats water to 212 degrees. This boiling water is then forced through a house and handheld steamer into your carpet fibers, displacing any unwanted particulates. All oils, dander, pollen, and microorganisms are shaken loose from their hold on carpet and furniture fibers and removed with powerful suction. Once these contaminants are removed, our technicians apply a hypo-allergenic solution to ensure that your home is protected from additional allergens that find their way inside. Of course, we also recommend that you get your air ducts cleaned to prevent your air system from circulating any additional particulates throughout your home. Part of the advantage of employing professional cleaning services from San Antonio’s top-rated carpet cleaners comes when you get to enjoy your home space in peace. Often, hidden odors can exist for years without you taking notice. Once odor-causers have been removed, you may get to experience a completely new-smelling home. Take advantage of these cleaning services to enhance your living space, reduce the potential for allergies and respiratory problems and to fully enjoy the company of your family friends – furry and otherwise. Our technicians are all IICRC certified, meaning we have the professional experience and training necessary to remove all bothersome contaminants from your home. We want to give you the best cleaning experience possible. That’s why we also give your home a thorough treatment with solutions designed to keep allergens at bay after we’ve left. Don’t settle for the mediocre results other companies can offer you. Let Alamo Steam Team get the job done the right way! Pet odor lingering? Allergies keeping you up at night? Schedule your appointment with the skillful carpet cleaners at Alamo Steam Team today to get started on a fresh-smelling home that you can fully enjoy!